Getting a leg up on the competition in the home improvement business can be tough. Small Business Trends spoke with Dave Yoho, the Founder and President of Dave Yoho Associates, a consulting company that’s been representing small businesses since 1962. 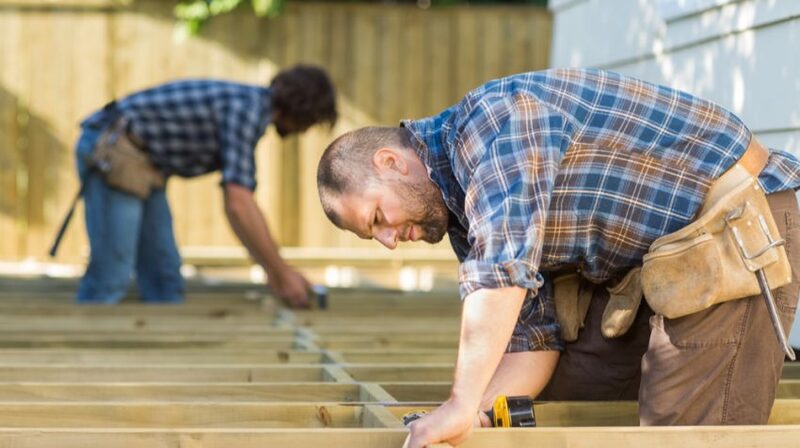 Yoho shared some tips on how a small home improvement contracting business can stand out in any crowded marketplace. There’s more to being different than offering free estimates and the lowest price, Yoho says. One of the ways that contractors can differentiate themselves is to establish a personal connection by talking with clients about their specific needs. “If someone doesn’t recognize the value people put on their personal time, they’re going to do what everyone else does,” he says suggesting this kind of connection adds a personal touch that adds depth to advertising and special offers. “Contractors need to be able to deal with the people that contact them so they can get something out of it,” Yoho says, adding the example of roofing contractors telling a prospect about the average lifespan of shingles in their area. Of course, listening to any prospects is just as important. When they start talking about remodeling a basement and you interrupt them to talk about the high-quality drywall you use, they’ll lump you in with all the others who use high pressure sales tactics. When you’re listening to them talk, you’ll get to understand what their needs are. You need to give customers accurate estimated completion times for jobs. In the home improvement industry, there are many variables like weather that can affect this. Yoho stresses contractors need to be organized so they have accurate “cycle times” to get the job done on time. That way, the client is happy, everyone gets paid and the business gets a great reputation. He uses the example of a window replacement project. Dividing those numbers gives you a cycle time–the number of days you need to complete the project factoring in all your operating costs. It’s a simple formula to make your business more efficient and credible. Narrowing down the area you work in as a home improvement contractor is a great way to separate yourself from the competition. One way to do this is to geographically tag any of the keywords you use on your website or in social media. For example, if you use a keyword like “bathroom renovations” you can narrow down your market by adding a location so it reads “Philadelphia bathroom renovations.” Using a technique like this helps you to build stronger client relationships in a more condensed area. If you’re bogged down with an inefficient supply chain or bookkeeping system that’s not right for your home improvement business, you’ll have no time to work on differentiating yourself. That’s why Yoho suggests a smaller firm in this space standing head and shoulders above the competition always needs to be looking toward improvements across the company. “That goes for the installation crew, the sales crew and even the people working in the office,” Yoho says, cautioning against just using tried and true methods because they work. Keeping open minded can give you an edge. Getting employee input at a weekly meeting is a good start.